The school holidays are over and it’s time to get those lunches back on track! Or maybe you have a little one starting school for the very first time this year. Read on for our inspiring and healthy lunchbox tips that are sure to tempt little tummies. Key elements to keep in mind when packing lunches during the warmer months – as well as ensuring everything is healthy and delicious – are hydration and storage. Ensure your little ones stay hydrated with plenty of water, plus fresh fruit and veg such as watermelon and cucumber. Keeping their food cool is vital too. Include a small ice pack in their lunchbox to keep food fresh and safe all day. To get kids excited about their lunches, include them in your planning and shopping. Ask them what they would like to eat and talk to them about the importance of healthy food and how it will sustain them through the day. Get them to help you pack their lunches the evening before. 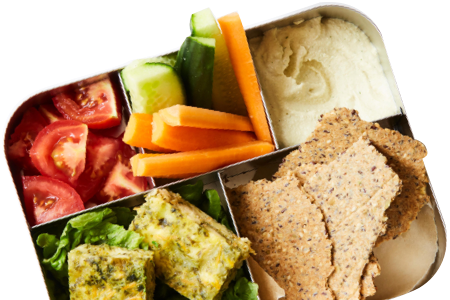 The key parts to a healthy lunchbox include fresh fruit, fresh crunchy vegetables, calcium-rich foods (cheese, tahini, salmon, natural yogurt), protein (lean meat or a hard-boiled egg, for example), whole grains (sourdough whole grain bread, flatbread or seeded crackers), and water. Always ensure there is a rich source of protein on offer when kids open their lunchboxes. For a hearty lunch that will sustain your little one through the day, try our Mini Salmon Quiches, Sweet Potato Pikelets or Lamb Koftas. They’re tasty, nutritious, and can be made in batches and frozen in advance. Include plenty of snacks so little ones have a choice for morning and afternoon snacks, and perhaps a little homemade treat after lunch. Keep snacks healthy, fresh and colorful. 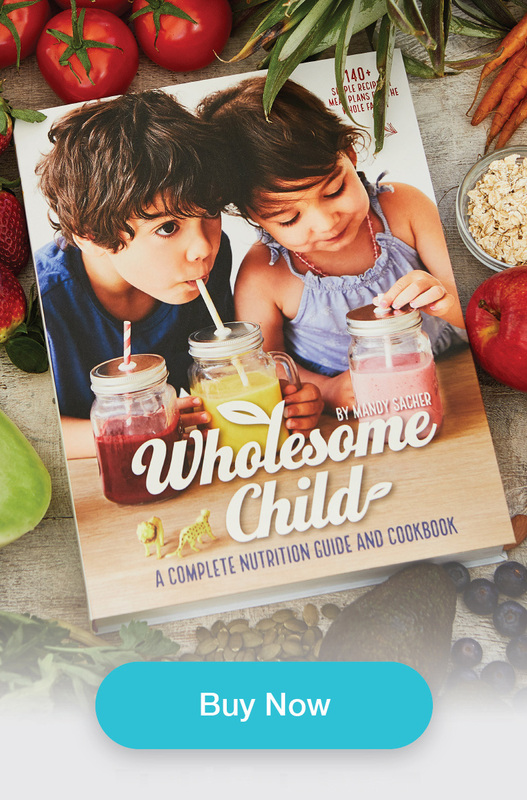 We love popcorn, brown rice sesame crackers, cut up veggies with dips, veggie and fruit skewers, trail mixes, a mini fruit salad of mixed berries, and cubes of cheese. Be prepared and create a week’s worth of these fabulous treats to replace store-bought options: Beet and Spinach Bliss Balls, Banana Bread, Raspberry and Pear Muffins, and Healthy Gingerbread Men. Stainless steel lunchboxes are eco-friendly and have great compartments for little hands. We love the Bento-style boxes because they’re safe, durable, reusable and recyclable – good for the planet and they last for years too!